The way we document our history has changed over the years, from cavemen symbolism on walls to present day computer data basis and archives. We have learnt the significance that textual analysis has had on history more specifically, “the study of recorded human communications.” Through the use of books, websites, paintings etc we have been able to document our findings on earth as well as understand human development and communication skills. 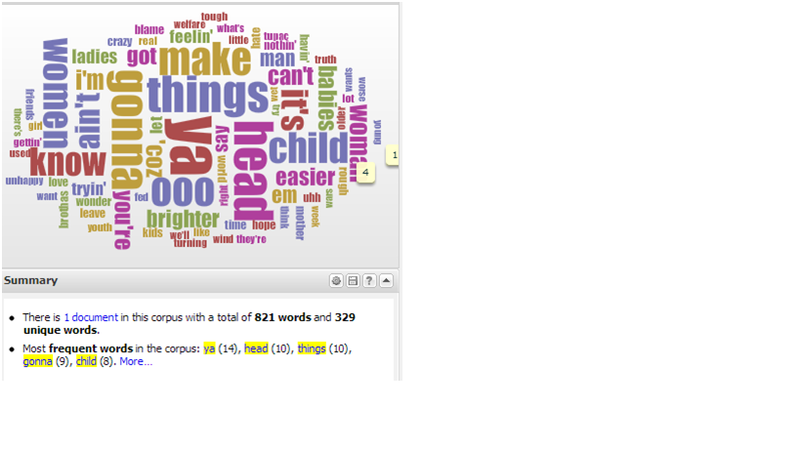 This was displayed via use of various text analysis tools such as: Voyant, Wordle and N-Gram Viewer. These tools able us to better understand how important text is to the development of human history, technology and digital history archives as we saw from our first couple post. By using the above tools we are able to find trends in various writings and understand commonalities among them. For Example I will be using both Voyant and Wordle as my primary tools in my final project; seeing that I will be creating a blog/website analysing lyrical trends in Hip Hop music from the 1980s up until early 2000s. Using these tools can be very effective as mentioned above when it comes to data collection as well as finding similarities in specific works. Text analysis tolls like Wordle make it easier to get important pieces of information for larger documents that would others wise be more difficult to read or understand for example; Shakespearean literature. However, there are some inconsistencies in using programs like Voyant and Wordle in that they do not always give an accurate portrayal of what is being said in the text. Although these are user friendly, they are limited in terms of word representation.